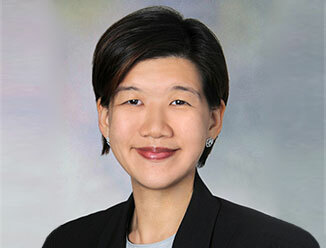 Cross-border transactions featuring properties in Asia Pacific increased in Q3 2013, both intra-regionally and for investors buying from outside the region, according to the latest report by leading commercial real estate firm, CBRE. The trend includes Asia-based private investors and institutions seeking opportunities to place capital abroad, and increasing activity from sovereign wealth funds and pension funds from outside Asia Pacific. Asia Pacific cross-border activity rose by 5.5 per cent quarter-on-quarter to US$5.2 billion in Q3, according to CBRE Research. Australia, Hong Kong, China and Japan saw the greatest share of non-domestic buyers, with Australia and China in particular seeing strong activity from buyers from outside the region. Although there was increased activity from international investors, domestic investors continued to dominate in most markets because they were able to move faster given their local advantages. Asian high-net-worth investors were particularly active in seeking large commercial assets in offshore markets. Noteworthy deals of this type included the acquisition of the Grand Park Hotel in Singapore by a Chinese family for US$877 million. The same Chinese investor purchased two office properties in Australia earlier this year. One emerging contributor to the cross-border flows was Asian high-net-worth investors. This quarter saw high-net-worth investors involved in several major deals, with overseas investment by this segment totaling US$631 million, a rise of 69 per cent quarter-on-quarter and 571 per cent year-on-year. “High-net-worth investors are becoming more positive about the market, but increasingly they see value and returns coming from direct investments like real estate. As a consequence they are diversifying away from their traditional equity and bond holdings to increase their exposure to real estate,” said Greg Penn, Managing Director, Capital Markets, Asia. In terms of the overall market growth, commercial real estate transaction volume in Asia Pacific totaled US$21.6 billion in Q3—an increase of 10.8 per cent on the US$19.2 billion recorded in Q2 2013. Market sentiment diverged during the quarter, and upbeat markets were led by Australia, China and Japan, all of which saw steady buying activity from local groups combined with sustained interest from foreign investors. Elsewhere, Hong Kong and Singapore saw weaker activity on the back of government cooling measures – although transaction volumes in Singapore did increase due to a few isolated big deals - whilst sentiment and activity weakened in Indonesia, Malaysia and Thailand. Deals involving office assets continued to account for the bulk of transaction volume during Q3, comprising half of turnover, but rents and demand in this sector have remained flat for some time. “Availability and yields for prime office assets remained tight and investors continued to broaden their focus to secondary locations and non-core assets, while foreign investors generally became more opportunistic. As a result more investors started to focus on assets providing higher yields, in sectors benefitting from rapid growth in consumption-led demand,” according to Ada Choi, Director, Capital Market Research, Asia Pacific at CBRE. In particular the industrial and logistics sector benefitted from this change, with transaction volumes up 75 per cent to US$2.9 billion, with strong interest seen particularly in China and Japan. Demand for retail assets remained firm across virtually all markets, with Australia, China and Japan recording high volumes of deals. 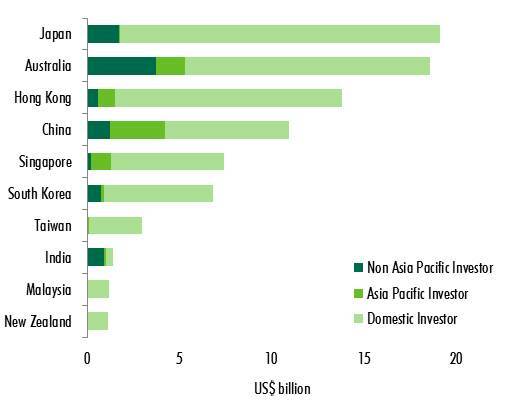 CBRE expects investment volume in Asia Pacific to remain high in Q4 2013 as there is a strong pipeline of deals in Australia, China and Japan, with other markets such as New Zealand and Taiwan also likely to remain active. Neither CBRE nor its affiliated companies make any warranties or claims on the implied accuracy of the information contained herein. CBRE Group, Inc. (NYSE:CBG), a Fortune 500 and S&P 500 company headquartered in Los Angeles, is the world's largest commercial real estate services and investment firm (based on 2016 revenue). The company has more than 75,000 employees (excluding affiliates), and serves real estate investors and occupiers through approximately 450 offices (excluding affiliates) worldwide. CBRE offers a broad range of integrated services, including facilities, transaction and project management; property management; investment management; appraisal and valuation; property leasing; strategic consulting; property sales; mortgage services and development services. Please visit our website at www.cbre.com.